The distance between the lines of tangency (in the case of a mid-tangent) or between the end of the part and the line of tangency (in the case of an end tangent). 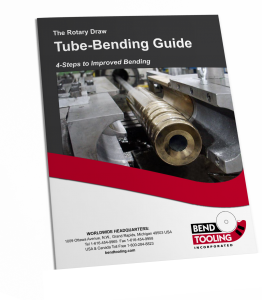 This dimension is important in rotary-draw bending, because clamp length is limited by tangent length, especially that of mid-tangents. If a mid-tangent is too short for a recommended clamp length, then the grip of the clamp must be increased by either machining serrations into its tube cavity or by using a compound cavity instead of a straight one. See clamp die.